There's no denying it. New Japan Pro-Wrestling is absolutely on fire right now. WWE, on the other hand, is simply getting by with the same old formula. New Japan has been hot for awhile now, dating back to around the first of the three Wrestle Kingdom shows that were headlined by Kazuchika Okada and Hiroshi Tanahashi. 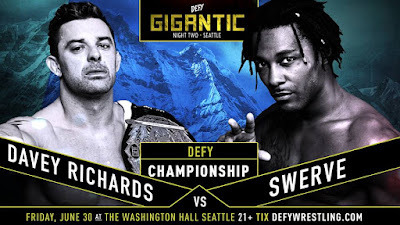 The promotion continues to build momentum as they ran two sold out shows in Long Beach, California and are in the midst of an epic G1 Climax Tournament. Now listen, I understand that flat out saying, "New Japan is better than WWE" is a matter of opinion and it depends on what you're into. But honestly, if you're a fan of professional wrestling as a whole and not just one particular promotion, then you know what I mean when I say that New Japan is better than WWE at the moment. Now that we have that out of the way, let's run down the reasons New Japan is outperforming WWE. Let's face it, wins and loses don't mean a damn thing in WWE. A prime recent example is Jinder Mahal. What the hell did that guy do within the confines of the show to get an opportunity in a number one contender match? Seriously, I think he'd won two matches up until that point. WWE proved that match outcomes didn't make a difference. "But it's unpredictable," you might say. Well, that might be, but it also means that rooting for wrestlers weekly on Raw and Smackdown is a complete waste of time. Hell, Shane McMahon fought the Undertaker for control of Raw, lost, and then was in charge the next day anyway! What the hell is that?! Booking, along with wins and loses, are focal points in New Japan. WWE is definitely hindered by the huge amount of content they have to turn out, but that doesn't mean things don't have to make sense. In New Japan, if a guy is going to get a push and some wins, they commit to it. 50/50 booking is very rare. If there's a tag-team match and a guy pins a singles champion, the result would set up a championship match. It's just a logical promotion. WWE has a major anchor attached to all of its wrestlers. What is that anchor? Scripts, and a lot of them. Yes, there's a lot of stuff going on there and maybe it's easier to just tell people exactly what to do. The major issue with this though is it keeps people from learning via trial and error. No one can take a chance on the microphone. Characters don't develop naturally. Plus, every time I hear a scripted promo it's completely obvious that it's scripted. Stone Cold Steve Austin couldn't have had that unpredictable personality if he was scripted down to the punctuation marks. Austin drew an unfathomable amount of money taking chances and being himself. Times have changed in WWE and it's not favoring the performers. So I'll be honest here, I don't speak Japanese. But when I hear the emotion in some of these dudes' voices, I'm convinced that I'm hearing their own words. One thing I do know is that when Karl Anderson cut a promo in New Japan, it damn sure wasn't scripted. Compare his mic work in New Japan to WWE. It's completely different. A huge reason Kenny Omega has stood out in the world of wrestling is the lack of restriction placed upon him. New Japan is creating stars by allowing them to find themselves on their own. WWE seems to believe they can create them with a keyboard. There's a certain authenticity with the top stars of New Japan and that cannot be understated. WWE fans won't like this, but here it is anyway. 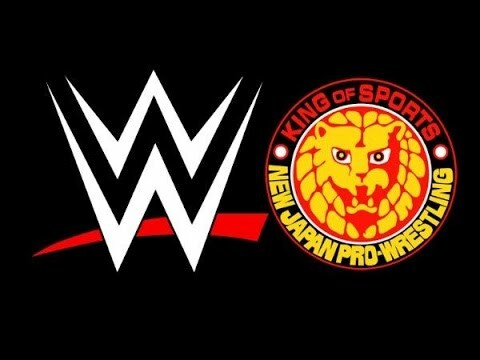 New Japan Pro-Wrestling completely destroys WWE when it comes to an in-ring product. Sorry, but I firmly believe that to be a fact. AJ Styles and John Cena had some damn good matches, they really did. But New Japan has produced Hiromu Takahashi vs. Dragon Lee, Katsuyori Shibata vs. Kazuchika Okada, Omega vs. Okada, Tanahashi vs. Tetsuya Naito, and so many others in just over eight months. Again, there's a difference in the amount of content the two companies provide. The New Japan crew works more physically and less often than the WWE crew. I'd be an idiot to not also mention that this physical style can be detrimental to the longevity of a New Japan wrestler. Still, the two companies seem far apart in the quality department. Another point of emphasis in New Japan match quality is the level of selling in a match. How many times in WWE have you seen Seth Rollins sell the knee then do a highspot? Then, right after the highspot, he sells the knee and hits the next spot. Neither company is perfect in this category, but more often than not, New Japan wrestlers sell and perform based on what they're selling. Yes, they'll go full strong-style and defy their worked injuries in an act of desperation, but not for the whole match. 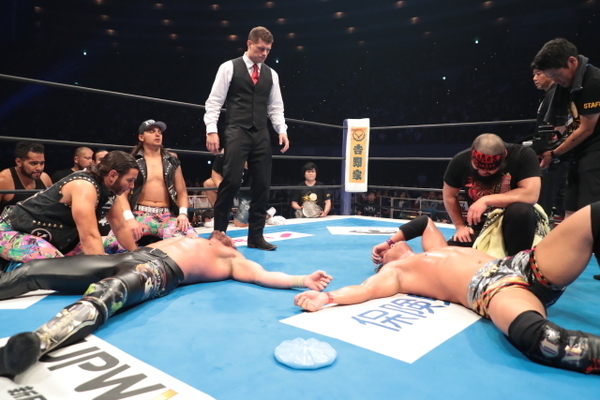 Big-time New Japan matches are stuffed full of emotion as well. WWE can sometimes reach this level, but on far less of a basis. There's just something about the desperation the guys in New Japan can express through facials in the closing moments of a match. Okada vs. Omega II is a great example. The final five minutes of that match are so emotional. The fans in attendance that night were in a state of pure pandemonium. They were screaming and yelling toward the finish, not trying to be the stars of the show with some chant. The point is, the reaction from the crowd was organic, not organized and it stemmed from the emotion the two conveyed. Something that really stands out when comparing the two promotions is the style of wrestling from performer to performer. This might be the most glaring point when it comes to match quality. In WWE, everyone largely works in the same manner. There's a reason why Brock Lesnar stands out within the WWE bubble. His matches are different. They're intense and somewhat disjointed. Everyone else seems to be stuck in the same mode. Think about it like this: when a guy is in the comeback sequence of the match, everyone knows it. It's a routine, not a desperate attempt to regain momentum and win a match. Matches in New Japan are different because everyone has a unique style within the company's collective style. WWE wrestlers also do to a certain extent, but it feels more like they're inserting their move-set into a predetermined framework. Guys like Minoru Suzuki Hiroshi Tanahashi possess unique mannerisms that differentiate them from one another. They haven't been robbed of their own originality for the sake of fitting the established mold. That's a big issue in WWE, especially for those trained at NXT from an inexperienced level. But that's a subject for another time. To put all of this simply, compare the matches between Wrestle Kingdom 11 to WrestleMania 33. There's definitely a gap. In closing, I stand firm with my opinion. At this point in time, New Japan has WWE beat in terms of pure product. Again, if you're more into insincere promos and one way of executing a match, then WWE is the show for you. I will say this, though: When WWE is firing on all cylinders, has a feud that feels like there's real emotion within it, there's nothing better in the genre. Unfortunately for them, 2017 has been dominated by New Japan Pro-Wrestling.